Yesterday, the National Highway Traffic Safety Administration held an event to showcase new alcohol-detection technologies that the NHTSA would like to see made commercially available for new cars. The most likely system to implement uses touch sensors to evaluate blood alcohol. So what happens if you’re wearing gloves? Potential misuse of gloves to hide drunkenness wasn’t mentioned, but those gloves won’t let you hide from the breath sensor, which was also described, and which is designed to isolate only the driver’s breath, unless, somehow, someone else, you know, leans over the driver and breathes. The technology itself is pretty fascinating, and is largely possible thanks to the intense interest in quick, non-invasive chemical detection technologies that came about post 9/11. The systems have been in development since around 2008, and the NHTSA feels they’re close to being mature enough to commercialize. The video suggests that they envision these technologies could be sold as options for new cars, like lane-departure systems or adaptive cruise control. While I’m sure these sorts of solutions will actually have the potential to save many lives, they still seem relatively easy to defeat by simply enlisting the fingers and breath of a non-drunk accomplice. It’s also way too easy to imagine getting stuck because you used an alcohol-based hand sanitizer or rinsed your mouth with alcohol-based mouthwash or spilled something on your hands or some similar sort of non-drunk related situation. 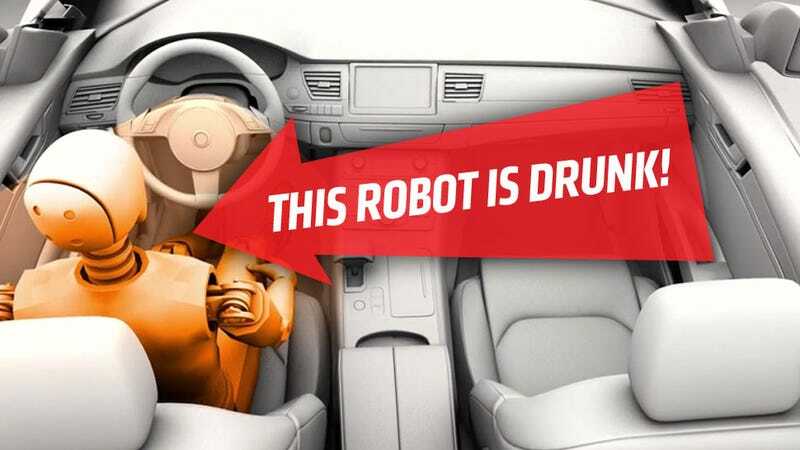 There’s also the discomfort with the loss of control of your own car, and, of course, the fact that a huge number of potentially drunk drivers won’t be in cars with these systems, even when they potentially become commonplace. In the end, it still comes down to not making a terrible decision.